I was designed to inspire and empower others to live and create at their purest form. Given the climate of our culture and the history of our ancestors, it is imperative that the images of Black women continue to carry the rhetoric of strength, dignity, royalty, and magic that we have always exuded. 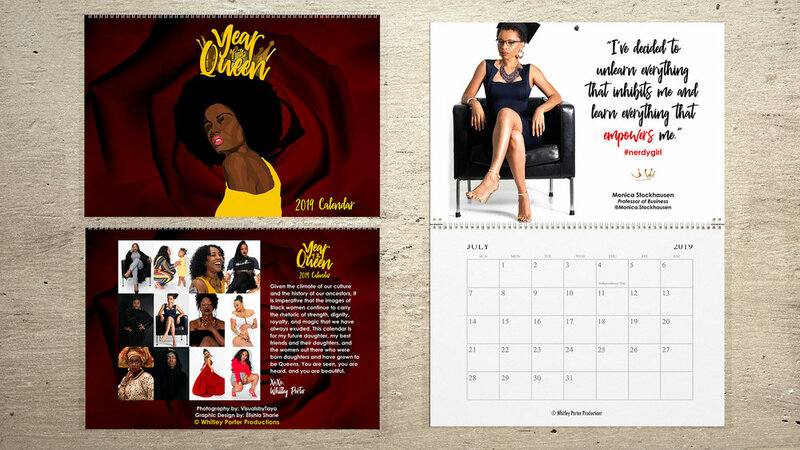 This calendar is for my future daughter, my best friends and their daughters, and the women out there who were born daughters and have grown to be Queens. You are seen, you are heard, and you are beautiful. Check out my interview with Lauren, a 29 year old virgin who has decided to save herself until marriage. She candidly shares her struggles with dating, self esteem, and keeping herself pure in such a sexually charged generation. What are your thoughts? Could you do it? Be Part of the Winner's Circle! Sign up and receive inspirational tips in your email. Copyright © 2019 Whitley Porter Productions. All rights reserved.